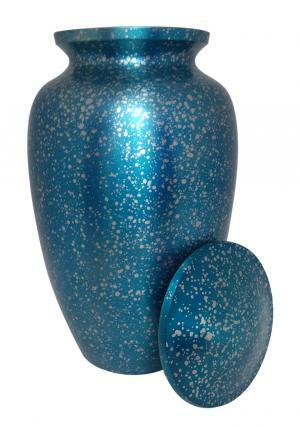 Hand Cast Aluminium Adult Cremation Urn for Ashes with sprinkled blueprint in beautiful engravings from skilled artisans. 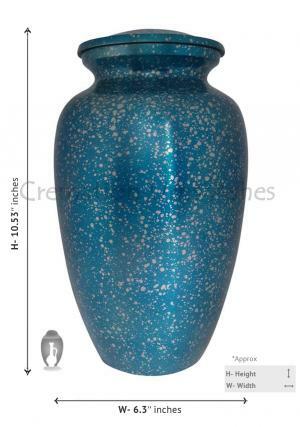 The aluminium urn has unique color text with immense presence of attraction to preserve ashes of the loved one. 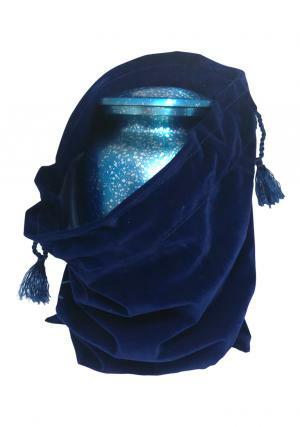 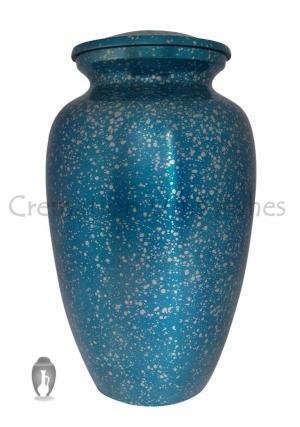 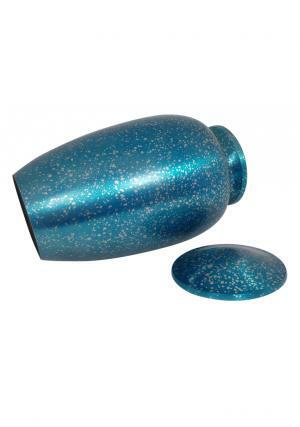 Aluminium Blue Adult Hand Cast Memorial urn with a lid on top printed in blue sprinkles and threaded label decorated inside the lid used for an easy closure as well as securing ashes. 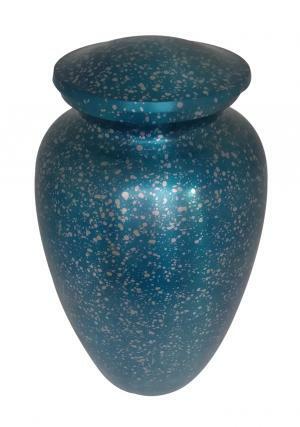 Hand Cast Aluminium Adult funeral ashes urn for human is measured to carry space of 200 cubic inch and dimensions of 10.53 inch height, 6.3 inch width which weighs 1.4 kg (empty).